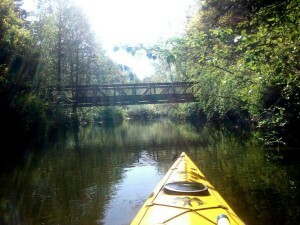 Experience what kayaking in the Northwest is all about with our NWPF Kayak Tours. These are complimentary to participants of the Northwest Paddling Festival. Lake Sammamish is over seven miles long and offers a wide variety of scenery. For those seeking a change of pace from the city, paddling along the shore of Lake Sammamish State Park offers an opportunity to get close to nature and get a glimpse of the historic homeland of the Snoqualmie Tribe. 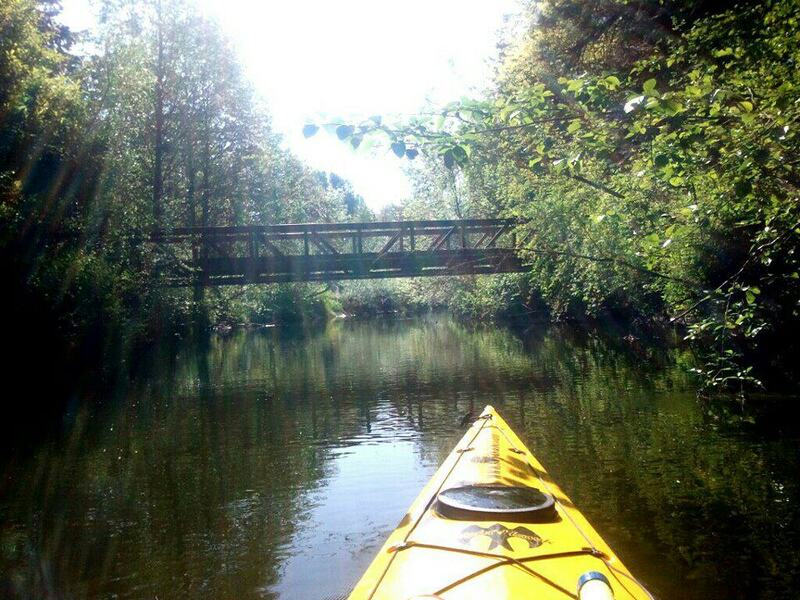 Your kayak guide will lead you to one of the biggest heronry’s in the state and explore the mouth of Issaquah Creek. If you keep your eyes directed up into the big trees, there’s a good chance of seeing Bald Eagles and Great Blue Herons! Solitude abounds in the morning hours so plan your tour time accordingly if you want to see the less common birds, and maybe even otter and beaver. Many of the natural areas have recently been restored through the longtime Adopt-a-Park Agreement with the Mountain to Sound Greenway Trust. Your guide will lead you along the shore where Greenway Volunteers have spent countless hours restoring neglected shoreline. Acres of invasive plants were removed and replaced with healthy native plants. While you are heading out on your tour or returning you won’t be able to miss the panoramic view of Issaquah Alps, Sqauk, Cougar and Tiger Mountains. There is coal mining history, hiking and biking trails abound here. Registration is required at the entrance, a release of liability form completed and participants under 18 must be accompanied by a parent/guardian. On Friday, Tours begin at 2pm and conclude at 6pm. Tours launch approximately every 30 minutes. On Saturday, Tours begin at 9:30am and conclude at 4pm. Tours launch approximately every 30 minutes.